Okay, if you’ve made it to this week’s bloginar, I’m going to reward you with the headliner event – you know, the big reveal – the incredible economic benefits associated with an international home exchange. Just so you know, there are numerous headliner’s to come in my weekly bloginars, and each marks International Home Exchange as a not to be missed act. The fact is, International Home Exchange is an impossible act to follow. No other style of travel can match it! By the time I am done, I believe you may be hard pressed not to act on this yourself. International Home Exchange is a truly incredible and virtually untapped phenomenon. It is the crowning glory of the whole Peer Sharing Movement. I know, I have proof, and I am delighted to show it to you. First let me say, if it were not for my finding home exchange when I did, my husband and I could never have afforded to travel with our family as we have; and there is a good chance we may not have traveled abroad at all. But, our family of four has traveled; we’ve traveled a lot, spending sixteen incredible weeks living like ““temporary locals” in various countries and cities in Europe over the last five years. More importantly, because of international home exchange, we have only just begun to appreciate our new found traveling lifestyle. How many families do you know who can afford to travel like that? Not too many I imagine. I live in fairly affluent suburb of NYC and I don’t even know a handful of families managing to travel as we do. But, here’s what you really want to know about, the numbers, right? I’m not sure if you’ve given much thought to what a trip abroad typically costs. If you haven’t, I can tell you that your travel expenses will fall into the following categories: airfare, accommodations, transportation, food, admissions/entertainment, and lastly (don’t forget) souvenirs. Let’s discuss the myriad ways a home exchange will eliminate or reduce many of the above listed expenses. Note, in my examples, any estimates will assume a family of four like mine. This is obviously where the greatest savings are. First, a word for my North American readers, hotels abroad are set up a little different than in North America. In North America, when you book a double room, you usually have the choice of one king size bed or two double size beds, and the hotel allows four guests to use the existing beds. You often even have the option of requesting an additional child bed too. This is because, in the US, hotel rooms are large; a family of four or five can stay in one hotel room. That is often not the case outside of North America, where hotel rooms are usually quite small. A double room in a hotel outside of the North America, usually has only one double bed and the hotel only allows two guests to inhabit the room. There is usually no room for an additional bed request. So depending on what country you are from or what country you are going, the cost of a family sized room in a hotel could be more or less that you are used to. If you are a family of four, you may need to purchase two double rooms or what is called a “quad room” or “family room” designed to accommodate exactly four guests. Either of these options is expensive. When my family travels we do book some nights in hotels (or B&B’s), oftentimes before or after the home exchange, so that we can see areas that were too far to travel on day trips from the exchange home. Because we are budget conscious when we travel, we try to book hotels that are clean and comfortable, but not luxurious by any standards. In fact, our home exchange homes are always much nicer than our hotel rooms. Based on my experience, while hotel prices vary by location and of course hotel standard, I have conservatively estimated that the average cost of a quad or family room, in a respectable, but not luxurious hotel, would cost about $200 per night. Remember, the US dollar is weak in many of the places you are likely to travel, so your US dollar doesn’t go as far. I think $200 per night is a fair estimate to show you the kind of saving that home exchange provides. 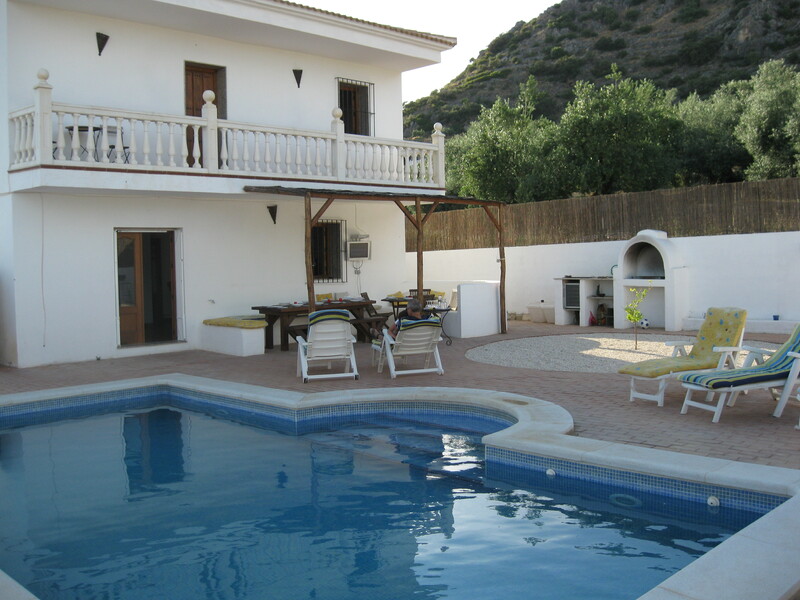 If you have a two week (14 night) home exchange, you save $2,800 in accommodation costs ($200 per night x 14 nights). 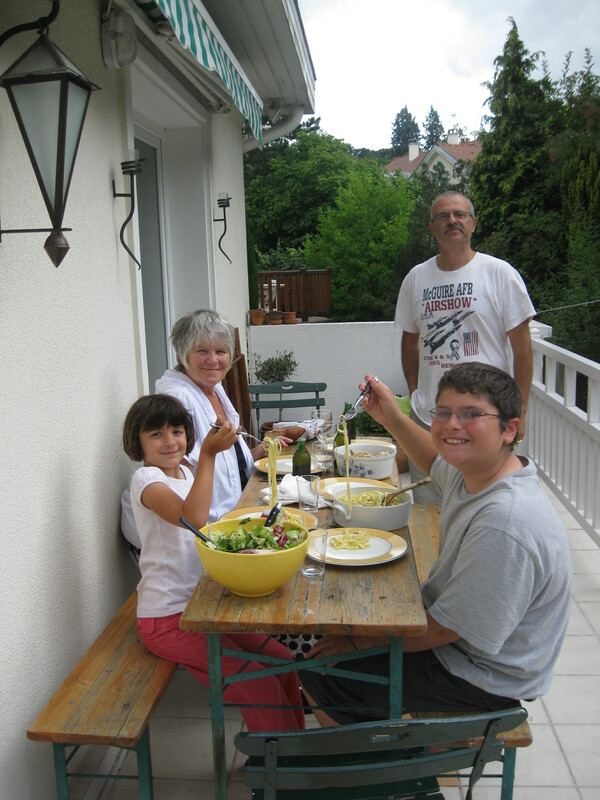 If you have a three week home exchange, the savings are greater, you save $4,200 ($200 per night for 21 nights.) The later, $4,200, is one estimate of what my family saved on our three week home exchange in Provence, France during the summer of 2013. That’s remarkable, isn’’t it? Even more remarkable is that, that is not all we saved, we also saved on food and transportation. But before we get to the other savings, I want to mention that while I think the savings I described above are truly impressive, it’s likely, that your true accommodation savings may be even greater, depending on what the exchange property consists of. Above we estimated the cost of a family of four staying in either two very small rooms or in one larger quad or family hotel room; but when you arrange a home exchange, you get so much more than one or two small hotel rooms. 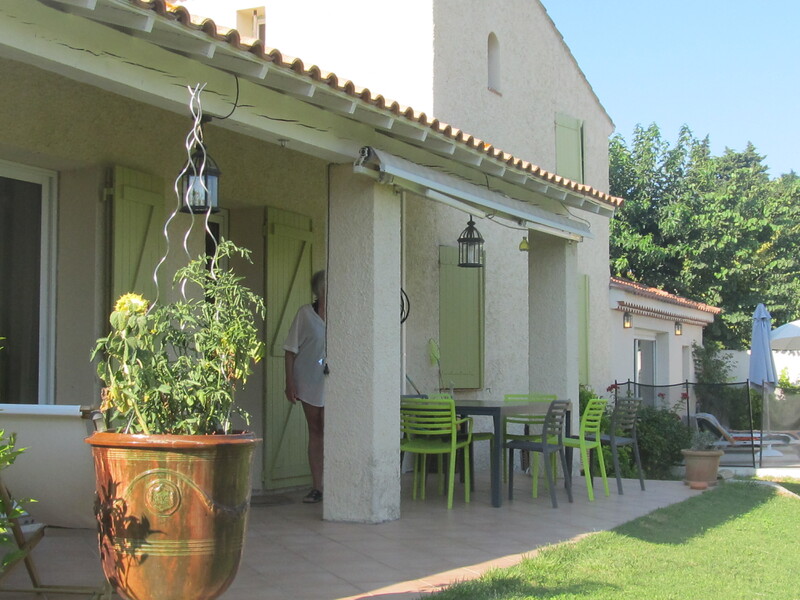 In my last exchange, my family got to spread out in a charming, clean, and very comfortable, Provencal home, complete with 4 bedrooms, lovely seating and dining areas, and most importantly, a fully equipped kitchen and laundry room. The latter are important because of the additional savings they provide. In addition, the outside property provided free relaxation and entertainment in that there was a wonderful in-ground swimming pool, a grassy garden area with swings and children’s toys, and a lovely patio with a retractable awning for dining in shaded comfort. We spent so many lazy evenings sitting outside on our patio, enjoying watching the the kids in the pool while we dined on fresh bread, ripened fruit, aged cheese and of course, regional wine. Now, I know I am being conservative in “estimating” that the exchange home I described above, had it been a rental home, would have cost at least $1,750 per week during the high season in which we visited. I based this on actual comparable home rentals in the village we exchanged. If you look at it that way, we saved $5,250 for our three week home exchange. I do believe this is a better measure of my families’ actual savings. Either way you choose to estimate the financial savings, the savings are undeniably impressive and worthwhile. Before I move on to the other savings; I just want to reiterate that the longer the home exchange, the greater the savings. This is one of the major benefits of foreign home exchange, it allows you to stay considerably longer than you would otherwise be able to afford. With the cost of airfare being so high, it is really worthwhile to be able to stay longer once you get to your destination. Home exchange allows for this added time. Time that you can use to experience so much more than is possible on a shorter trip. 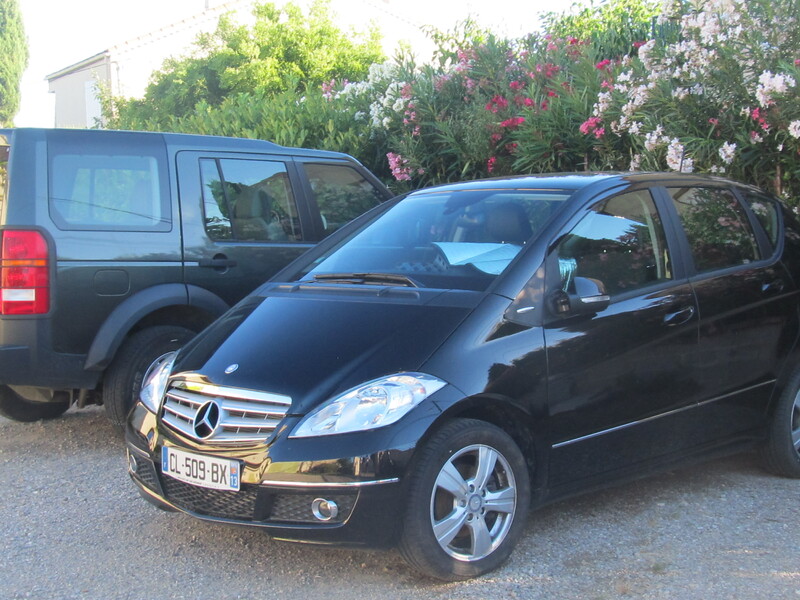 On this same home exchange in Provence, we also arranged with our partner to exchange our cars for the three weeks. Our exchange family actually left us two cars, which was incredibly generous. They left us a new model Land Rover with seating for seven, which was perfect because we had three extra family members on this trip, so we needed that large a car. This car was probably nicer than what we would have rented, had we needed to rent a car. It’s worth noting that our generous exchange family also left of a second car, that we did not ask for. It was their new Mercedes. They suggested we use it whenever the whole family did not travel together, so we could save on fuel and also park easier. While we were impressed by their generosity (and trust) we chose not to use the Mercedes that was offered to us. We did not feel comfortable driving their brand new Mercedes! Note that we gave them our best car, a 2010 Dodge Grand Caravan. I don’t think they minded the discrepancy between cars; that’s not what home exchangers, in general, care about. Its all about the travel and the experiences. We estimate that we saved $1,800 in car rental expenses, about $600 per week or the car that we did use. I think that is a conservative estimate for a car large enough for seven passengers. These savings can be considerable; especially if you want to eat well, which we always do. With a home exchange you can eat well and save a lot of money at the same time. In a home exchange (or in a home rental if you choose that route) you will have the benefit of a kitchen. Having your own kitchen, as opposed to staying at a hotel without one, can save you a great deal of money. Even if you are not interested in cooking meals in your kitchen, just having a refrigerator to store the many delicious prepared foods or desserts that you buy in local shops or, better yet, at outdoor food markets, will save a lot of money. On the same note, just purchasing bottled beverages and keeping them in the refrigerator in the exchange home, to take with you on day trips, is also a big money saver. It’s much cheaper to buy your beverages in a local grocery store or better yet in a larger supermarket. I’m not embarrassed to say that this is a money saving tool my family uses, even at home in the US. We pack beverages for all our outings to avoid paying a small fortune for high priced beverages when we are out. When you travel someplace where the dollar is weak, it is even more economical to do this. That reminds me of a funny, but true, story. My family never buys bottled water, here in the US or abroad. As long as we are visiting someplace that has good drinkable water, the first words we learn are “may we have a pitcher of tap water, please.” This is because on our first trip to Europe, the first time we had dinner out we realized we had no idea how to request tap water over bottled water. We were of course given expensive bottled water and that mistake cost us $20 for five bottled waters. We never made that mistake again. In French for example we quickly learned to say “Pouvons-nous avoir un pichet d’eau du robinet, veuillez.” This phrase saved us a small fortune in France! Now add to that the additional savings you can reap if you actually use the home exchange kitchen to cook some of your own meals! Finally, aside from the savings; shopping in local grocery stores in foreign countries is a lot of fun, and I am not kidding when I tell you it is really a wonderful and culturally enriching for the whole family. You really feel like a local when you shop with locals. We love it! And, a visit to the grocery store has no entrance fee! 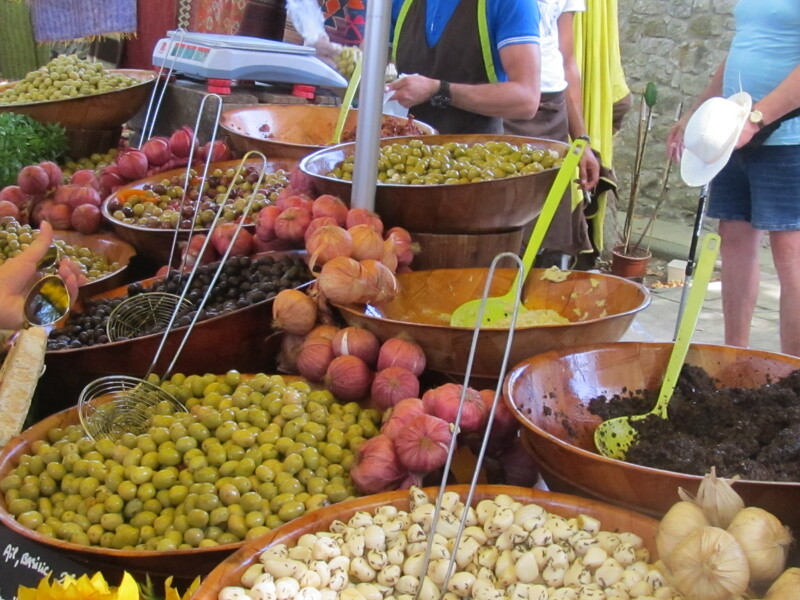 You can even find great food souvenirs in the supermarket! Obviously, the food savings are harder to quantify and they will vary greatly depending on how much you utilize the kitchen. I’ll be really conservative and say that we saved $800 on meals that we ate in, as opposed to what we would have paid to eat them out. With a washing machine, you can wash your clothes as often as you want and never have to visit or more importantly pay for a Laundromat. If you have little children you know how quickly little ones can stain a week’s supply of clothing. Please note that depending on where you travel, you may or may not get a dryer. Since we travel to Europe, we have never seen one in a home exchange; but that is never a problem. We get a kick out of hanging our clothes out on a line – it’s one of the cultural benefits we enjoy. For most Americans, it’s like going back in time and technology! For me, it just seems so wholesome and enjoyable, and especially nice in a warm dry climate. It’s not that great in a wet one! Lastly, there is an added perk in having convenient access to laundry facilities: You can bring less clothing and travel lighter. This is really important when you have small children. I never wanted to be bogged down with a lot of luggage, when there were children to be cared for and hands to be held. Lost luggage is bad, but lost children is terrifying! So, when my family travels we have always chosen to travel light. When the kids got big enough to start sharing in the carrying of some of their own gear, we switched to carry-on sized backpack suitcases. This has worked wonderfully. We no longer have to pay the airline for checked bags or worry that the airline will lose our checked bags. Plus, in the years where we have scheduled back to back home exchanges, we have sometimes travelled by train from one city or country to another, it’s especially nice not to have a lot of luggage to handle, store, and keep safe on crowded trains. I won’t bother quantifying the savings for laundry; they are fairly insignificant compared to all the other savings. There are a multitude of other amenities in the home and near the home that can save your family even more money. I’m talking about things like the a private pool or nearby beach or lake; outdoor play equipment like trampolines and swing sets; bicycles and scooters, and sporting equipment like basketballs and soccer balls; toys and games inside the home; beach gear; possibly pets to play with; or nearby playgrounds, sports courts, and parks. Obviously, all these amenities can give your children, and you adults, hours of free entertainment and pleasure. This is no small benefit and I assure you they add to your families rich cultural experience. Your family can relax and simply enjoy living and playing in another country. It’s like you’re on the inside looking out; instead of rushing about or paying steep fees to be on the outside looking in. 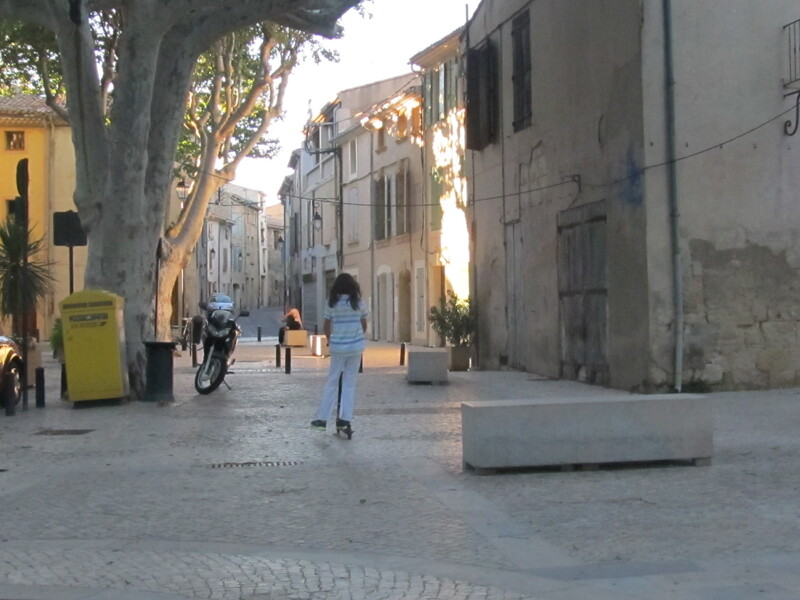 On my last home exchange in Provence, France, I took a whole video and lots of pictures of my eleven year old daughter on a scooter (Razor Brand), just exploring the village we were staying in. She got to do this on several occasions. To me, watching my daughter scooting around a 350 year old village in Provence was even better than seeing any of the Unesco World Heritage sights we visited on this trip. I framed my favorite picture of her standing on her scooter in front of a beautiful, old village home with authentically distressed shutters. It’s a great photo of a great memory. I cherish them both. I can’t begin to quantify the savings on all these amenities; so I won’t. How could I calculate the cost of other forms of entertainment that we may have needed to purchase to replace those that came free with the home. Pretty remarkable, huh? What’s more remarkable is that the total actual cost of my families three week trip to France came in at $7,500 (including international airfare*), making that a 50% savings. *Through my thrifty travel planning, I got two free international flights on United for this trip. The other two family members flew non-stop on a French discount airline called XL airways. I usually do manage to cut my airfare cost in half. If anyone has any questions about any of the above, please do not hesitate to contact me. I would be happy to assist you. I will also be publishing a poll later today. Please participate, so I can see how this bloginar and international home exchange has been received. Further, If anyone would like to fact check my actual or estimated savings; please feel free; please do run your findings by me. I would be happy to address any competing findings. This entry was posted in Uncategorized and tagged budget travel, creative tourism, cultural tourism, culture, family travel, France, home exchange, international travel, luxury travel, P2P, peer sharing, Provence, travel. Bookmark the permalink.